News & Education / Should I Send My Kid to College With a Credit Card? When it comes to building credit, it's best to start sooner rather than later. 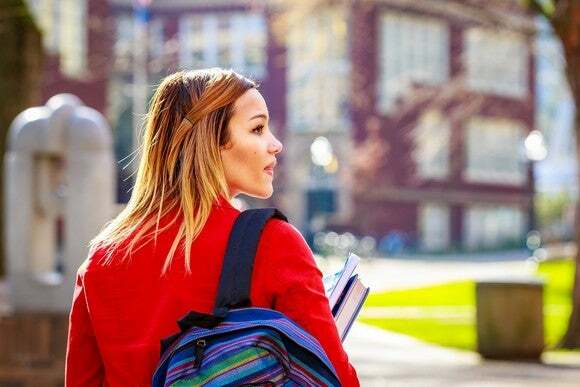 Sending a student off to college with a credit card is a good way to help them build credit. By the time they graduate, your kid will have four years of credit history, which will enable them to borrow on favorable terms to buy a home or car. The upside is clear, but the disadvantages of helping your college student get a credit card are numerous. The CARD Act of 2009 brought about many important changes to how cards can be marketed and who can apply. It took direct aim at card companies that marketed cards to college students, outlawing on-campus marketing practices and perks designed to lure college students to apply. The biggest change affected who can apply for a card and the information necessary to get approved. Applicants who are younger than 21 years old have to qualify for a credit card based on their own personal income or assets. Card issuers are also required to verify any income or assets claimed by the applicant if they are younger than 21 years old, something they don't have to do when the applicant is 21 years old or older. While these changes were made for good reason, they make it harder for younger students, particularly those entering college as 18-year-olds, to get credit cards in their own names. But there are a few ways for students to get a card and start building credit, particularly if their parents are willing to help. As an authorized user on your credit card, your student will get a physical card embossed with their own name that is tied to your credit card account. They will be able to make charges to your account, but they won't be liable for repaying the balances. Only the main cardholder is legally liable to make payments on the card, even if all the spending was done by the authorized user. Think carefully before adding your student as an authorized user. Giving your kid access to a credit card with a $20,000 credit limit is like giving them $20,000 in cash -- seriously. Parents must have a lot of faith in their children's ability to use a card wisely. 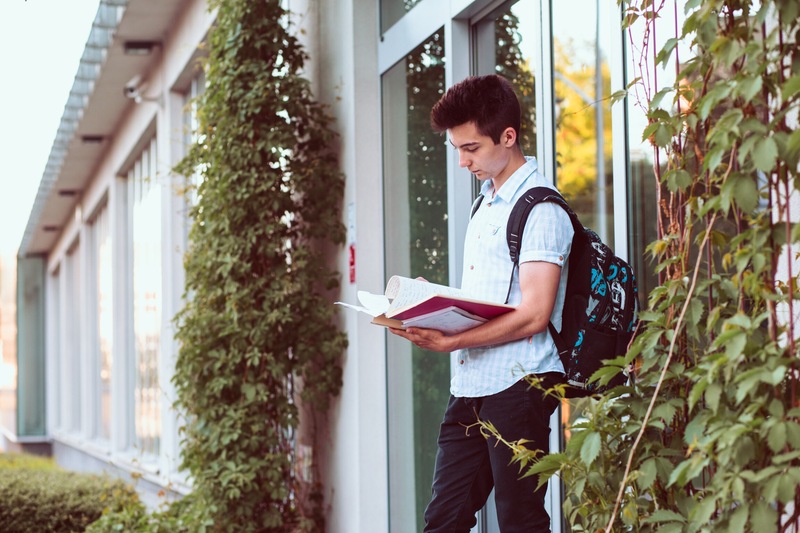 The upside to this method is that when the student becomes an authorized user on your account, all of your history from that account -- good or bad -- will be added to their credit report. I have some personal experience here. My mother added me as an authorized user to one of her oldest cards when I was in college (and promptly shredded my card when it came in the mail), and the history that it added to my account gave me a "prime" credit score almost overnight. Add them only if the account has always been in good standing. If you add your student to an account that had several late payments in the past, all these late payments will show up on their credit report. For this reason, it may be advantageous to open a new credit card account to add them as an authorized user. The last thing you want to do is start your student off with bad credit by adding them as an authorized user to a problematic account. Consider lowering the credit limit before adding a student as an authorized user. Asking your credit card company to lower your limits from $20,000 to $3,000, for example, will limit the damage a new credit card user can do. This can be a valuable fail-safe if the credit card winds up being used for parties instead of emergencies. Open a new account for the express purpose of adding your student as an authorized user. A separate account can be helpful for budgeting purposes, and it can minimize the risk that you and your kid together max out the credit line during the month. For legal purposes, you can be the primary account holder, but they can be the only one to spend on the account as an authorized user. The primary advantage of the authorized user method is that the parent retains control as the main account holder and can see how their student is spending money each month. In addition, parents can generally qualify for cards with higher credit limits, better rewards programs, and other perks that come with cards designed for people who have higher incomes and credit scores. Students who are over the age of 21 should find it easier to get a credit card, even if they have no income. Popular secured credit cards enable virtually anyone to get a card because they require a deposit that protects the bank in the event the borrower does not repay their balances. Students as young as 18 years old may qualify for a secured credit card in their own name. Importantly, secured credit cards report payment history and credit use to the three major credit bureaus just like any other credit card, so they offer all the benefits of helping a student build credit while in school. Two of the best-secured credit cards currently offer a $200 credit limit in exchange for a deposit that ranges from $49 to $200. The advantage here is that the student can qualify on their own, and thus the way they handle the account won't affect the parents' finances or credit scores. Parents whose kids don't have much cash on hand may decide to pony up the nominal deposit, which should be no more than a few hundred dollars. The student can use this cash to apply for a secured credit card on their own and start building credit with a card in their own name. Unlike the authorized user method, a secured credit card in the student's name doesn't pose any outsize financial risk to the parent. But the downside is that opening an account requires a deposit, and the parents won't be able to see how their student is using the card to make purchases, or if the bill is being paid on time. We've gone through the fine print of most secured cards on the market and found two of the best-secured cards, which offer low deposit requirements and feature no annual or monthly maintenance fees. Frankly, giving a student a credit card is a big financial risk, particularly if the card is also in the name of the parents. For this reason, a secured card is ideal from a risk standpoint, as it minimizes the financial risk for the parent while enabling a student the opportunity to start building credit in their own name by taking control of an account they have full responsibility for. If your student doesn't qualify for a secured card in their own name, adding them as an authorized user may be the way to go until they reach the age of 21. But remember that authorized users have the ability to spend without the legal obligation to repay the balance. For this reason, making a student an authorized user is like giving them a blank check equal to your credit limit. Do it only if you can really trust them to spend your money as thoughtfully as they would spend their own. This article was written by Jordan Wathen from The Motley Fool and was legally licensed through the NewsCred publisher network. Please direct all licensing questions to legal@newscred.com.